Iowa AD Gary Barta's reference to "ongoing tensions" helped give this story even further legs. Hot mics, or microphones broadcasters don’t realize are on, have tripped up plenty of commentators, and the latest example comes from Iowa Hawkeyes’ radio announcer Gary Dolphin. 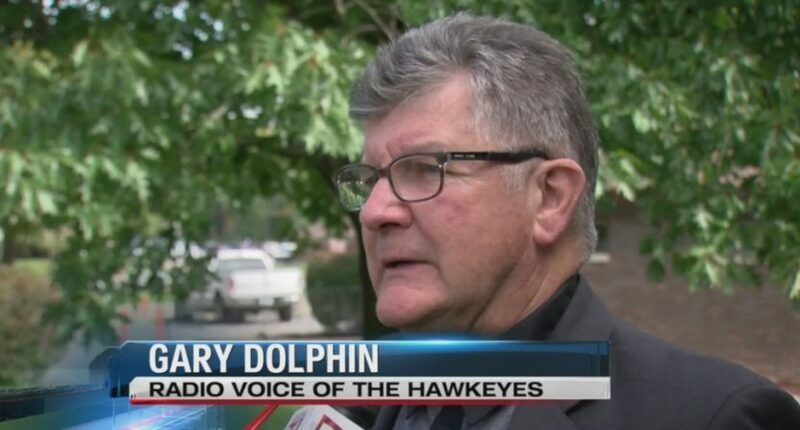 On Tuesday night, Dolphin and analyst Bobby Hansen (in their 22nd year of calling Iowa basketball together; Dolphin has been calling Iowa football since that time as well) made some critical remarks about the Hawkeyes when they thought they were off the air for a commercial break during of the Iowa-Pittsburgh game (which the Hawkeyes won 69-68 in the end), only to have those remarks broadcast over the air. That’s now turned into a two-game suspension for Dolphin, but that suspension has created further controversy thanks to Iowa athletic director Gary Barta’s comments in the release about the suspension. Danny Lawhon of The Des Moines Register has a transcription of the key part of the exchange (which starts about 18 seconds in) here, where Dolphin is praising Pittsburgh’s guards and complaining about Iowa’s recruiting. GARY DOLPHIN: How do we not get anybody like that? … It’s just year after year after year, go get a quality piece like that. Just get one! They’ve got three or four, (coach Jeff Capel’s) first year. BOBBY HANSEN: Oh, I’m sure he knows where they’re at. Duke. This situation causes a minor blip on the radars outside the Hawkeye state if this is just a 30-word statement by Learfield (with whatever necessary boilerplate at the end) saying a two-game suspension is in line with University of Iowa policy. Maybe another 20 about the technical snafu on the network’s end that inadvertently led to all this. You can’t eliminate the embarrassment of a situation like this, but you can certainly minimize it. But you cannot, absolutely cannot, make a veiled reference to ~MYSTERY TRANSGRESSIONS~ by your athletic department’s most visible media member in a statement to the media and not expect to have to answer that. Absolutely. If Barta and Iowa athletics have other issues with Dolphin, they should bring those up with him, but vaguely hinting at them publicly isn’t exactly solving the problem. And the “ongoing tensions” line makes it seem like there’s more going on here than just a hot mic, and without further comment on what that is, it makes everyone look bad; it implies Dolphin is doing other things wrong, it makes Barta look petty for bringing this up relative to an unrelated incident, and it creates an apparent divide between the program and one of their longest-tenured public faces. Iowa isn’t the only NCAA entity to make things much worse for themselves with their follow-up this week, but they too could learn the lesson that sometimes it’s better to just take a little heat over a minor incident then to pour gas on it with your response.